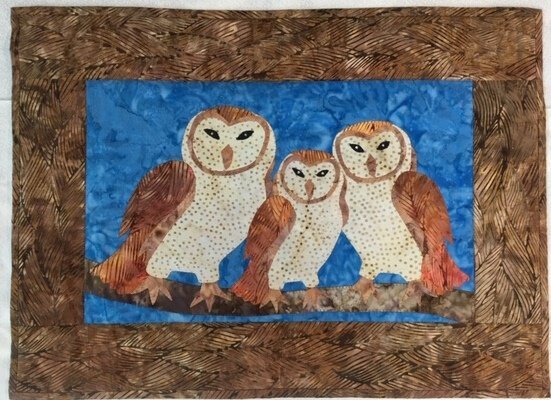 Sample for Sale: Wall Hanging featuring three barn owls sitting on a branch. Fabrics on front are 100% cotton batik fabrics. Backing is brown cotton print. Each owl has sparkly eyes of opalescent rhinestone. Measures 22" x 16".